The concept of green roofs, or roof-top gardens that create healthier cities is great, and fortunately it is not just for enthusiasts. However, despite their many benefits to the environment and homeowners, green roofs still face many obstacles in becoming main-stream. Some of those obstacles are technical and, some (the most important ones) have to do with the price tag associated with a green roof. We will review green roofs, not only from the Eco-friendly perspective, but also from a roofer’s point of view, as it is the roofer that makes green roofs work. We’ll also discuss recent technological breakthroughs in the green roofing industry, which have to do with simplifying design, installation, and greatly reducing costs. Green roofs are expensive – no doubt about that. The Main reason being the relative difficulty of building and maintaining a green roof, while making sure the water-proofing membrane is intact, and performs for its specified life-period. Another reason is that all the components of a green roof (of which there are many) are expensive, and only a handful of suppliers offer them. Green Roof vegetation is also a concern, as these plants must be able to survive in a limited amount of soil and if a drought hits, these plants might not survive. It may also be necessary to set up some kind of a sprinkler system to maintain the required moisture level. When all is set and done, a green roof will create a beautiful roof-top-garden and should significantly increase, if not double the life of your roofing membrane, as it protects the roof from the sun and the elements. A green roof will also make your building a lot cooler, as it absorbs most of solar heat. To reap all these benefits of a green roof, it is of the utmost importance to use the best available flat roofing membrane, such as 80-mil IB Roof and to have a quality installation performed by a certified flat roofing installer. Just imagine that your new green roof is installed, and some time later it begins to leak – now you have to disassemble it: remove the vegetation and soil, moisture retainers and water-flow base, while the leak may not even be where you think it is. 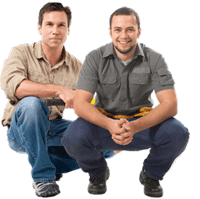 That is why from the installation perspective everything must be installed to the highest standard; all seams must be checked and double checked in order to ensure a leak-free, functioning roof. To make the installation and maintenance of a green roof as simple and inexpensive as possible, we chose to combine our IB PVC roofing products with a simple, modular approach of Green Roof Blocks. These green roof sections come in 2×2′ aluminum boxes with specially formulated light-weight soil. 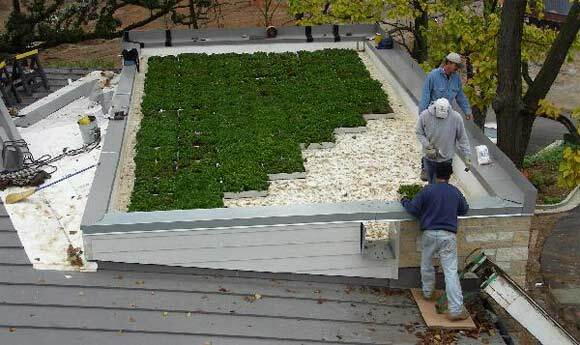 Green Roof Blocks offer a quick installation, ease of roof repair – if there is ever a need to do some roof maintenance, all you need to do is to simply lift up the sections where you suspect the leak may be. Green Roof block is also the most cost-effective green roof you can find. Vegetation can be planted and grown before the roof is installed, or right on the roof-top. Hello, my name is Andrew Roche. I am currently a student at Pathfinder Regional Vocational Technical High School, in Palmer MA. I am enrolled in a program known as Project Lead the Way engineering science. Our current project is to design a LEED-Certified Engineering annex to house a new vocational shop area to be built in the near future. One of our goals is to include a “Green Roof” for the building. I understand that your company has expertise in this area. On behalf of my Project Lead the Way Engineering class, and my instructor, I kindly request your assistance in this matter. If you could contact me back at the email address provided, it would be greatly appreciated.